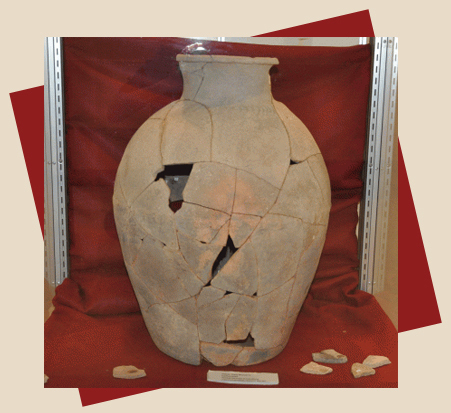 Gannon University’s Archaeology Museum opened its doors the fall semester of 2014, after being given space to display a vast number of artifacts in the new Center for Communication and the Arts. The museum has three main collections: Dr. Suzanne Richard’s Khirbat Iskandar collection, a Grecian collection donated by the Pulako family and pieces donated from the Erie County Historical Society. Hours: Please contact for hours. Asbury Woods Nature Center is a 200 acre environmental education facility with 4.5 miles of trails and a ‘green’ Nature Center building with live animal exhibits and hands-on displays. Corry began as an important railroad junction during Pennsylvania’s oil boom in the 1860s. The Corry Museum displays artifacts from pioneer life to the first “modern” oil refinery up to present-day manufacturing. A 1930s Climax “logging” steam locomotive is another highlight. Hours: Memorial Day through Labor Day, Saturday and Sunday 2-4 p.m. or by appointment. 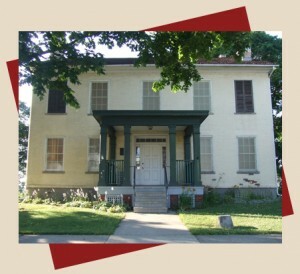 The Historical Society offices are located in the Doucette House, an 1861 Italianate-style home. The home has been refurbished with pieces fitting to the late 19th century and functions as a house museum. It also contains a library of genealogy publications, Edinboro histories, histories of local organizations and other relevant material. The Little Church on the Hill hosts many community events, including a coffee house and concert on the third Saturday of the month year round from 7 p.m. to 9 p.m. The event includes refreshments, door prizes and raffles. All donations go towards the restoration and preservation of this 150+ year old historic landmark. Bring friends and family for a night of music and fun! Be sure to check their Facebook page for event details. Hours: Open the 3rd Saturday of the month at 7 p.m. – 9 p.m. The Erie Art Museum is a nonprofit, member-supported community organization located in the Old Custom’s House, a beautiful and historic 1839 Greek Revival building. The building served as the Bank of the US, Erie Branch, and is on the National Register. The collection contains over 6,000 objects and includes fine examples of American ceramics, Japanese prints, Tibetan thangkas, Chinese porcelains, Indian bronzes and more. Hours: Tuesdays-Saturdays, 11 a.m.-5 p.m.; Sundays 1-5 p.m. The Erie Cemetery was dedicated on May 20th, 1851. The first Superintendent of the cemetery was Capt. Samuel Low, a civil engineer who also served as City Surveyor. His design for the grounds was tasteful and artistic and included planned lots, paths, walkways, avenues and ornamental plots. 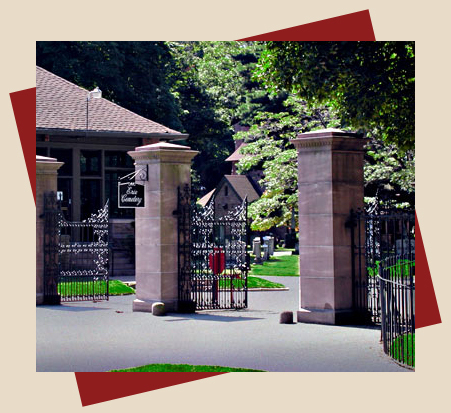 Today, a walk through the Erie Cemetery will take you by the “who’s who” of old Erie. Hours: Monday – Friday, 8 a.m. – 5 p.m.; Saturday 9 a.m. – 12 p.m. The Historical Society of Erie County maintains a library and archives, the 1891 Watson-Curtze Mansion and the Battles Museums of Rural Life in Girard. Hours: Wednesdays – Saturdays, 11 a.m.-4 p.m.
Lively multimedia and interactive exhibits illustrate the dramatic story of the 1813 Battle of Lake Erie and the US Brig Niagara. When in port, the Niagara is a major exhibit berthed within yards of the museum. The museum also features the prow of the USS Wolverine, the first iron-hulled naval vessel; interpretive video on Great Lakes maritime history; and the reconstructed midsection of the USS Lawrence. Hours: April through October, Monday-Saturday, 9 a.m.-5 p.m., Sunday Noon-5 p.m.; November-December & January-March, Thursdays-Saturdays, 9 a.m.-5 p.m.
ESGR conducts beginning genealogy workshops, field trips, cemetery readings and research for out-of-town requests. Membership meetings are the second Tuesday of every month, except January. The newsletter, Keystone Kuzzins, is published quarterly. Hours: Call ahead for availability of volunteers. 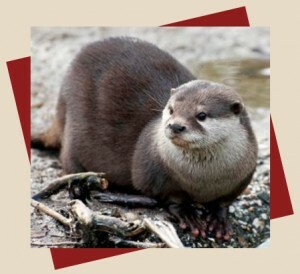 The Erie Zoo is the perfect place to spend the day or just a few hours. A comfortable walk throughout the Erie Zoo and Botanical Garden takes about 2 hours. You’ll enjoy visiting with nearly 400 animals in our collection as well as the 11 beautiful gardens throughout the park. Hours: Seven days a week 10 a.m.-5 p.m. Explore dozens of interactive exhibits and hands-on activities appealing to the imagination and creativity of us all. Special events and programming along with educational activities and classes available year long. Society members have restored this c. 1838 “salt box” house for use as a house museum, meeting site and depository for artifacts, genealogy and other historical records related to the Fairview area. Listed on the National Register, it was the home of Robert Sturgeon, the son of one of Fairview’s founding pioneers. Hours: By appointment. Please call or email if you would like to schedule a visit. The Museum is housed in the old #4 Erie Firehouse built in 1903. Its two floors contain more than 1,500 items of fire department memorabilia. Displays include antique fire apparatus, badges, ribbons, fire alarm systems, helmets, uniforms, masks and antique fire extinguishers, plus an 1823 hand tub, an 1830 hand-pulled pumper and other apparatus. Visitors can turn the fire alarm, hear the bells ring and see the alarm come in. Hours: June – August, Saturdays 11 a.m.-4 p.m., Sundays 1-4 p.m. The Eagle Hotel was built in 1826 by Thomas King and is owned by the Fort LeBoeuf Historical Society. It served as a stagecoach stop on the Erie-Pittsburgh line. It functioned continuously as a hotel/restaurant until it was purchased in 1977 by the Society. It has been restored and listed on the National Register. The first floor functions as a restaurant; the upstairs contains two museum rooms that are open during restaurant hours. The Society also owns the Judson House (pictured). This Greek Revival house was built in 1820 by Amos Judson who owned the Eagle Hotel from 1842 to 1853. It functions as a house museum displaying furniture and paintings from the 1850s and also contains archival and genealogical material of the Waterford Area. Other properties within the Society’s campus include the Fort LeBoeuf Museum, which interprets the history of the French & Indian War as it relates to Western PA, and Washington Park, which is home a statue of young George Washington. Once the homestead of the Goodell family, 78 acres were donated by sisters Margaret and Carrie Goodell for use as an education-oriented botanical garden and arboretum. 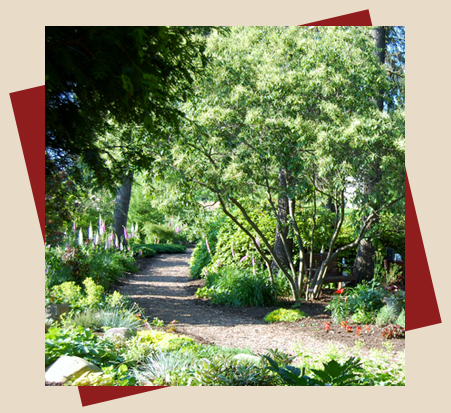 The site reflects the Goodell family passion for farming, gardening, history and horticulture. It also houses a collection of botanical specimens and local history archives. Hours: May through October, Wednesdays-Sundays, 11 a.m.-5 p.m. Explore the 150 year history of grape farming and viticulture, geology, science, the processing and marketing of grape products and more in the Lake Erie Grape Region. 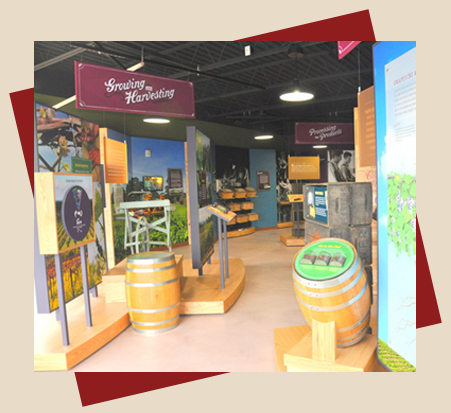 See, touch, smell and interact with learning displays at the Grape Discovery Center. Participate in a scavenger hunt quiz; answers can be found in the displays. Hours: Summer (Memorial Day to Thanksgiving): Monday – Saturday, 10 am – 5 pm; Sunday Noon – 5 pm. Winter: Closed Mondays and Tuesdays. Check website for most up-to-date hours. The Society is housed in the Gifford-Blanchfield House. Its collection includes journals, cemetery records, tax records, yearbooks, photographs, letters, documents and an assortment of artifacts relating to Harborcreek Township, Erie County. For ease of access and use, much of their archival collection has been reproduced, and their trained volunteers can assist you in your quest for information. Walk-ins are welcome during regular hours. Please call or email to make a special appointment or request. A restored and working one-room schoolhouse, c. 1873. It contains many original desks, books, a stove and other school memorabilia on display. Most artifacts are hands-on for use in educational programs. They include a working water pump and a functioning outhouse. The home, built by William Hubbard in 1840, was a terminus on the Underground Railroad. The property was purchased and restored in the 1970′s by Thomas “Tim” Hubbard, a direct descendent of William. He also endowed the Museum. Tours usually last 1 – 1.5 hours and give an overall perspective of the Hubbards and the status of abolitionists in Ashtabula County. Civil War artifacts are displayed in the museum’s new addition. Hours: 1 – 5 pm, Friday, Saturday and Sunday, Memorial Day weekend through Labor Day weekend. Closed on holidays. Group tours and rates available year round by appointment. The Hurry Hill Farm offers opportunities where the maple sugaring experience is available for free to children, families, sugar makers, and visitors of all ages. The process, natural and cultural history, lore and legend will be offered through entertaining and educational activities, programs and exhibits. The Museum is a place where young and old can see, touch, taste, and listen to the past while learning about an important part of Pennsylvania’s agricultural heritage. Hours: April through May, Sundays, 2-5 p.m. 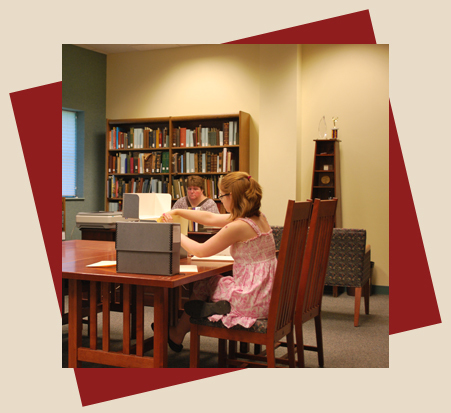 Located in the John M. Lilley Library, the Penn State Behrend Archives consists of three distinct collections: the Hammermill Paper Company Collection, te Behrend Family Collection, and the Penn State Behrend Collection. The John M. Lilley Library archives is available by appointment only. Please contact Jane Ingold, Associate Librarian. The Lake Shore Railway Museum is a restored 1899 passenger train depot with extensive displays of 19th and 20th century railroadiana. GE and Heisler locomotives built in Erie are on exhibit, plus a dining car, caboose, Pullman sleeping cars and antique freight cars. The Society has a collection of local artifacts, house histories, photographs, blueprints, memoirs, school yearbooks, banners and scrapbooks from Lawrence Park, a well-preserved company-planned (General Electric) and built town unique in the region. Located in Lawrence Park, the display at the former General Electric Community Center includes photographs and other artifacts that deal with the early plan history, foundry operations, the apprentice program, locomotive assembly, refrigerator manufacture, World War II activities and DC motor products. Also on-site is an operating model train layout (HO Gauge). The museum features changing displays of local history. It is located inside the 1880 town hall, which served as the town’s fire hall from 1885 to 1996. The North East Arts Council is located on the second floor. This interesting museum in a 100-year old building houses collections that reflect local history from rugged 1797 frontier settlement to the space age. The building is owned by the Union City Borough and maintained by the Historical Society. The Valley School Museum is an 1853 one-room schoolhouse that was in use for 101 years. It was located and restored to Albion’s Northwestern School District campus. The schoolhouse is furnished with desks, flags, globes and other school memorabilia from its long history. The museum is situated in a restored grocery store with a period kitchen, living room and bedroom of the early 1900s. It features photograph displays of local and Erie County history and extensive genealogical records. The second floor is used for meetings and as a depository for archival material. Hours: Open Sundays June, July and August from 1 p.m. – 4 p.m. or by appointment. Please call Donna Kennedy at 814.739.2619 to schedule an appointment. The West County Historical Association showcases memorabilia of Dan Rice, famous clown and circus owner of the 1850s. It has a large collection of Marx toys, manufactured in Girard, PA. Period furnishings, photographs, newspapers and an Underground Railroad exhibit are also periodically on display.